And the suspense is out. The official paper ads from Sri Sai Raam Creations have confirmed that Thala Ajith's Vedalam will indeed come out as a Diwali treat. This Siva directorial will release on the 10th of November, which is a Tuesday. Anirudh's music and the presence of Shruti Haasan, Lakshmi Menon, Ashwin Kakumanu, Soori, Thambi Ramaiah, Rahul Dev and many others in the cast list have added a lot of excitement and anticipation to its release. 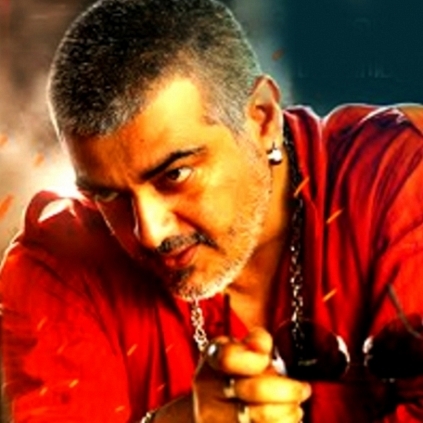 Looks like we are going to have yet another "Thala" Diwali, after all! What does Reshmi Menon do to protect her loved ones? People looking for online information on Ajith, Siva, Vedalam will find this news story useful.